We hosted our first "Maker's Brunch" back in late January and honestly I've been thinking about it almost every day since. 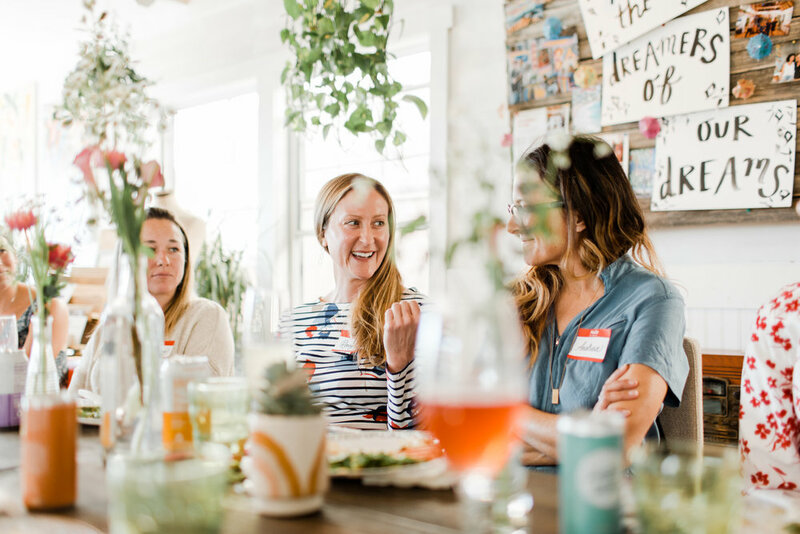 The idea for this type of workshop or meet-up was presented to me at one of our Pop Up Market's by Nicolette of Bird Bath Body Treats. Nicolette expressed her desire to have MORE with her fellow pop up vendors. We all agree that the biggest take away from those events always tends to be the new friends you pop next to. She painted the picture of "Wouldn't it be so great if we had a day to come together outside of these pop ups and share resources and gain more..."
At the end of 2017, we had "popped up" on 20 different occasions here in Laguna Beach and just recently announced our expansion to San Clemente in 2018. The Maker's Brunch was filled with friends & businesses we believed in and knew intimately from these events. 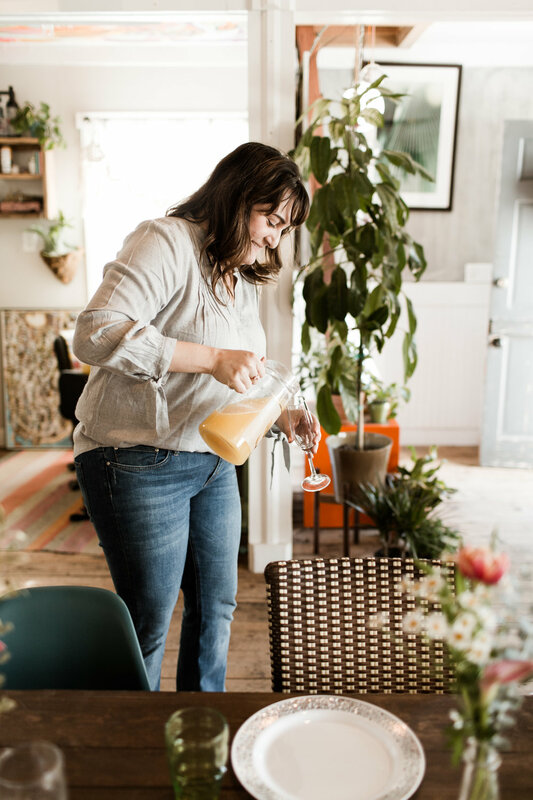 We started the brunch off with mimosas, yummy Trader Joe brunch snacks, and each person giving their "elevator pitch" - how they would describe themselves and their business to a new potential customer or retailer. Then a second verison...a little deeper, a little more of their WHY. Their personal story that had them take the leap toward entrepeurship and pursuing something they loved. This round about sharing really set the tone for the level of honesty and transparency this group brought to the table. Everyone was open with their successes and struggles with starting and running their own businesses. There was a lot of roaring laughter, clapping in encouragement, and tears shed both out of joy & with a deep breath of feeling heard and supported. 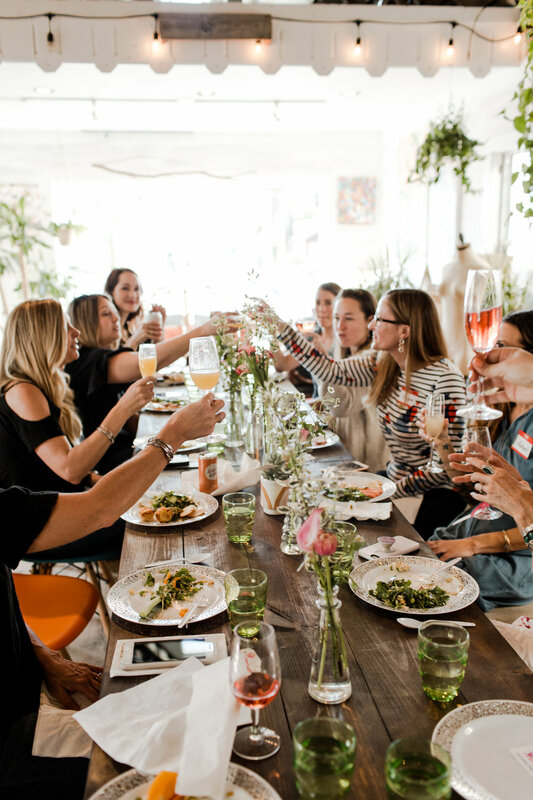 When planning this first Brunch, I had surveyed the group on what topics or marketing tools they would like to dive deeper into. The outcome was social media (mainly Instagram), creating line sheets, and how to take better camera phone photos. 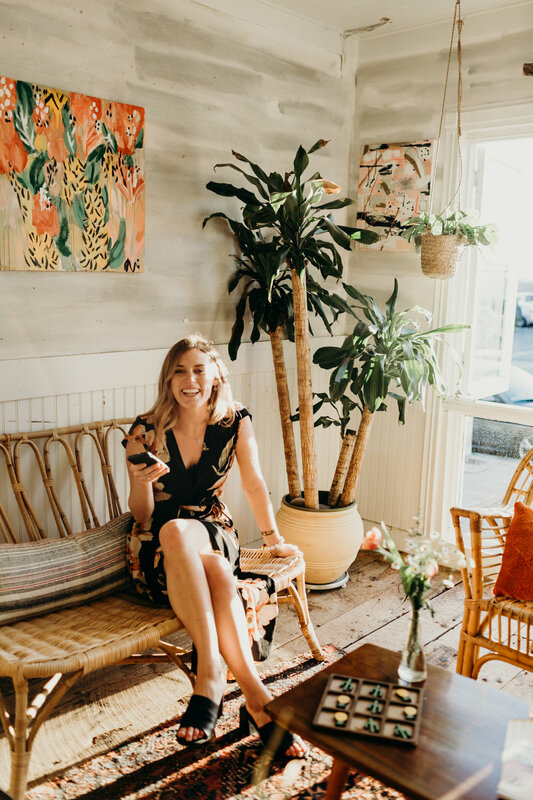 I asked my friend and rockstar photographer, Molly Goodman to join me in presenting this group with what worked for us in our growing businesses. We first started with an overview look at instagram and the new changes to expect in the New Year. I shared one of my mentors, Tyler McCall's Instagram trends and predictions report. Next we broke into two groups: those who wanted to focus on learning more about wholesale line sheets and those who wanted to focus on iPhone photography. Half the group stayed inside with me, and we went over what a line sheet was (yes, that basic), how to make one, and what 7 mistakes to avoid when you start using it to attract new potential retailers. The other half of the group ventured outside with photographer Molly Goodman who shared her tips for "Photography for the Rest of Us" (meaning us non-photographers) that went over lighting, composition, and editing. We went way over the time we imagined, but it felt so rich. So soul-fulfilling. We look forward to starting a 3-part-series this month called "Makers & Shakers Series" - set up as two separate programs: one for Maker's - those with product based businesses and one for Shaker's - those with service based businesses. Over the next three months, we look forward to exploring the power of using Instagram & email marketing to increase sales and achieve your business goals. Hope you'll join us! Learn more here.